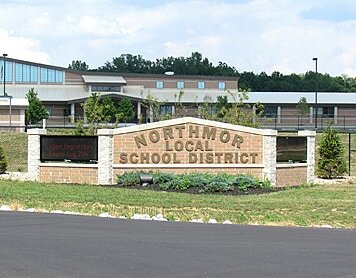 Auditor of State Dave Yost released a a performance audit of the Northmor Local School District on June 16, identifying more than $345,000 in potential savings the state feels could be had… with a few adjustments, of course. The Ohio Department of Education requested this performance audit due to the district’s declining fiscal stability identified in the May 2014 and October 2014 five-year forecasts. The district’s increasing expenditures are projected to create a $708,558 deficit by fiscal year 2018-19. Yost feels reducing staff to levels comparable to similar districts could save the district $146,600 each year. Soliciting competitive bids for dental insurance and increasing employee dental and vision insurance contributions could save the district an additional $71,600 each year. The audit report also recommends the district eliminate the additional pick-up of retirement contributions for all STRS and SERS employees to save $69,000 in fiscal year 2014-2015. Yost said in future years, the district could save $82,800. If the district maintains the pick-up contribution levels at 1.25% and eliminates the scheduled .25 percent increase, it could save $13,800 in fiscal year 2016-17 and beyond. The district has an expenditure cap of $40,000 to offer tuition reimbursements for employees taking additional coursework at an approved crediting college. Of its peers, only six districts offer any form of tuition reimbursement, and only four districts offer full reimbursements. The peer average for the tuition reimbursement expenditure cap is $16,500. The district could reduce the expenditure cap to the peer level to save $23,500 annually. The audit also suggested eliminating one active bus also could save the district approximately $30,300 each year. The sale of two spare buses could generate one-time revenue of $3,500. In addition, if the district joins the Cooperative Purchasing Program, fuel costs can be reduced and could save $6,100 annually. The district also can apply for and receive the Motor Fuel Tax Refund, which could save the district more than $2,400 annually. The response also said the leadership team will continue to monitor finances and use the performance audit to help make informed decisions in regard to the financial future of the school district. Cowell led a discussion and explanation of the district’s financial forecast at May meeting, and will be offering an updated forecast at a special meeting to be held June 29 at 5 p.m. in the board meeting room.